Soon after the official designation of 4 December as the date of Russia’s parliamentary elections, one political party, ‘Right Cause’, changed its leadership. As Russian federal elections use a party list system, and only seven parties are entitled to take part in them, this would have been a significant development whatever the circumstances. In this case, however, the circumstances are important, since they provide an extremely explicit example of the mechanisms behind Russia’s ‘multiparty’ authoritarianism. ‘Right Cause’ has a fairly long prehistory, some knowledge of which is important for a complete understanding of what has happened to the party. 1993 saw the creation of the ‘Russia’s Choice’ movement, which in the parliamentary election of that year represented a group of reforming economists headed by Yegor Gaidar. Having received only 15.5% of the vote – a result rightly seen as a defeat for a governing party - ‘Russia’s Choice’ soon left the political stage, but a number of its leaders, including Gaidar, went on to found a new party, ‘Russia’s Democratic Choice’, which in 1995 lost a parliamentary election at which it clocked up only 3.9% of the vote. On the eve of the 1999 elections, ‘Russia’s Democratic Choice’ united with several small organisations to form the ‘Union of Right Forces’ (URF) electoral bloc. In the run up to the elections the URF campaigned for further market reforms, while at the same time supporting Vladimir Putin, who at that point was gathering political strength. The URF, unexpectedly for many observers, came away with 8.5% of the vote making it the fourth largest party in the Duma. By the following election, in 2003, however, all Putin’s support was coming from ‘United Russia’, and the URF, having gained only 4% of the vote, was left without any seats in Parliament. 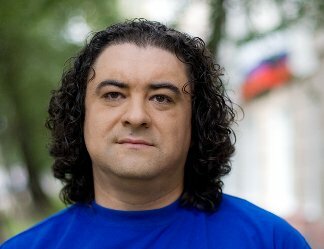 "During the 2007 electoral campaign the URF was one of the main targets of an aggressive campaign, run by the ruling party, ‘United Russia’ and designed to highlight the achievements of the Putin era by contrasting them with the country’s difficult situation at the time of the economic reforms of the 90s." In 2003 one of the architects of Russian political reform, Anatoly Chubais, was already playing a leading role in the URF, and his power within the party continued to grow after the loss of parliamentary representation, although its nominal leader was the provincial politician Nikita Belykh. During the 2007 electoral campaign the URF was one of the main targets of an aggressive campaign, run by the ruling party, ‘United Russia’ and designed to highlight the achievements of the Putin era by contrasting them with the country’s difficult situation at the time of the economic reforms of the 90s. URF’s leaders were also quite openly accused of working as agents of influence of the West in Russia. As a result URF received less than 1% of the vote. Anatoly Chubais (left) and Nikita Belykh (right), former leaders of the Union of Right Forces. The Kremlin rewarded both for leaving active opposition politics: Chubais was appointed head of the RosNano corporation, Belykh became governor of Kirov oblast. The 2007 smear campaign against URF also involved the use of parties known in Russia as ‘spoilers’. The main task of these parties, who acted with the full support of the Russian government, was not to win elections themselves, but to spoil the chances of URF and ‘Yabloko’, another liberal party. One of the ‘spoiler’ parties, the Democratic Party of Russia, was one of Russia’s oldest political parties, but it had been virtually inactive since the beginning of the 90s. In 2005 the opposition politician Mikhail Kasyanov made a move to lead the party, but his attempt was foiled by the Kremlin, and instead Andrei Bogdanov, who in the 90s had worked mainly as a professional political consultant, seized control with government backing. The second ‘spoiler’ party,’ Citizens’ Force’, was set up by a pair of network marketing entrepreneurs from the provinces, the Ryavkin brothers. After its defeat at the 2007 elections URF went through a period of deep crisis. Many activists left the party, either joining ‘United Russia’ or becoming involved with unregistered opposition groupings. At the same time the administration made a concerted effort to add URF to the number of organisations completely under its control. One element of this strategy was the offer of official posts to its leadership. In September 2008 Chubais accepted a place as head of the state owned Rosnano Corporation. One of the conditions attached to his appointment was evidently his relinquishment of the virtual leadership of the URF. Nor did the nominal leader of the party, Nikita Belykh, go unrewarded; in January 2009 he was appointed governor of the Kirov region. Meanwhile what remained of the URF merged in November 2008 with the Democratic Party of Russia and ‘Citizens’ Force’ to form a new party, ‘Right Cause’. Most commentators concur that this party was controlled by the Kremlin through the deputy head of the Presidential Administration, Vladislav Surkov. "Incessant in-fighting prevented it from carrying out even the most elementary functions facing any party in the Russian political system, such as ritual participation in regional elections. The numerous leaders of ‘Right Cause’ were incapable even of reaching agreement on lists of party candidates." Formally the new party’s leadership consisted of an equal number of representatives from each of the three merged organisations. Membership of ‘Right Cause’ also included people who had belonged to the old URF, some of whom were reasonably well known figures on the political scene, for example Boris Nadezhdin, a well respected politician from the Moscow region. Chubais was also able to influence ‘Right Cause’ policies through his representative in the party’s leadership, his old political client Leonid Gozman. The new party, however, was completely incompetent. Incessant in-fighting prevented it from carrying out even the most elementary functions facing any party in the Russian political system, such as ritual participation in regional elections. The numerous leaders of ‘Right Cause’ were incapable even of reaching agreement on lists of party candidates. On the eve of national parliamentary elections this situation began to try the Kremlin’s patience. ‘United Russia’ needed a sparring partner who would advocate abandoning active social policies and champion such blatantly unpopular policies as the raising of the pension age and lengthening of the working day. Against this background ‘United Russia’ and its leader Putin would then appear in a much more favourable light. In addition, the Kremlin had begun to suspect that quite a significant segment of the Russian population – relatively prosperous, educated, urban professionals - were alienated from the political system because no party represented their interests. Offering them ‘Right Cause’ to fill this gap, the Kremlin could reintegrate this group into the political discourse. So the spring of 2011 saw the beginning of attempts to refashion ‘Right Cause’. Since the Kremlin considered the party’s main problem to be its lack of an effective, recognisable leader, this strategy kicked off with a search for a suitable candidate. Initially rumours were circulated in the media about the Prime Minister’s deputies, Alexey Kudrin or Igor Shuvalov, being considered for the post. The fabulously wealthy oligarch Mikhail Prokhorov made huge efforts to secure good election results for the 'Right Cause' party, though few observers of the Russian political scene believed in his success. Better known for his lavish parties, Prokhorov seemed an unlikely winner in Russia’s political battles. As time went on, however, these names were rejected, and the job was offered not to a member of the administration, but to one of Russia’s wealthiest businessmen, Mikhail Prokhorov. 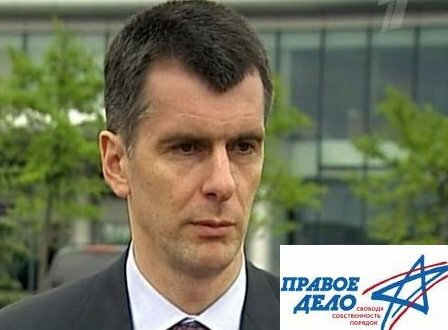 Prokhorov owns large blocks of shares in a number of major companies, including ‘Rossiiskii Aluminii’, ‘Polyus Zoloto’ and ‘Intergeo’. Forbes Journal estimates Prokhorov’s current wealth at 18 billion US dollars. At an extraordinary congress of ‘Right Cause’ on 25 June 2011 Prokhorov became a member of the party and was immediately elected its leader. The party’s constitution was also changed to allow Prokhorov unlimited powers both in his executive capacity and in the appointment of people to senior positions in the party. These changes encountered no opposition from within the ranks of ‘Right Cause’. On the contrary, Prokhorov’s arrival was met with unanimous enthusiasm by all the party’s previous leaders, who were obviously hopeful that the billionaire’s financial clout and good relations with the Kremlin would benefit their own political careers. Prokhorov worked tirelessly throughout the summer of 2011, in an attempt both to increase his own popularity among the people of Russia (it’s well known that the so called ‘oligarchs’, of whom Prokhorov is one, are not particularly loved by their fellow-Russians), and to create a new image for his party. "Prokhorov worked tirelessly throughout the summer of 2011, in an attempt both to increase his own popularity among the people of Russia (it’s well known that the so called ‘oligarchs’, of whom Prokhorov is one, are not particularly loved by their fellow-Russians), and to create a new image for his party." His aim, as he put it, was to gain the second highest number of votes in the elections, after ‘United Russia’. At the same time he was keen to stress that it would be wrong to see ‘Right Cause’ under him as an opposition party that rejected the policies of Vladimir Putin and Dmitry Medvedev. On the contrary, he saw his party’s role as representing a more effective tool than ‘United Russia’ for carrying out these policies. At the end of the summer, however, signs appeared of a cooling of relations between Prokhorov and the administration. The stumbling block was the party electoral lists drawn up by ‘Right Cause’, and in particular Prokhorov’s insistence on including the Sverdlovsk politician Yevgeny Roizman, whose name was well known throughout Russia. Roizman’s main claim to fame was his active campaign against drug trafficking, and his controversial treatment regime for addicts in the clinics he set up. In 2007 the ‘Just Russia’ political party had tried to include Roizman in its lists, but a sharp reaction from the Kremlin had forced Sergey Mironov, the party’s leader, to drop this plan. Prokhorov, however, was less pliant. Prokhorov (left) didn't agree with the Kremlin veto on the inclusion of drug campaigner and former parliament deputy Evgeny Roizman's (right) name on the ballot list and had to go. Officially the Kremlin’s reason for objecting to Roizman was that there was a criminal episode in his youth, for which he had served a two-year prison sentence. But in citing this reason, the Kremlin was showing some inconsistency, since for several other people a criminal record had not been a barrier to election to parliament. For example Andrei Lugovoi, an MP for the Liberal Democratic Party of Russia, is not only wanted by the British police on suspicion of involvement in the murder of Alexander Litvinenko, but also has a criminal conviction from 2004 in Russia itself. It is obvious that what most annoys the Kremlin is not so much Roizman himself as Prokhorov’s attempt to retain his party’s independence in its choice of candidates. The government, on the other hand, maintains that so-called opposition parties should, firstly, not include in their lists people of whom the Kremlin openly disapproves, and secondly, should follow the recommendations handed down by the President’s men about their choice of candidates. It is no secret that in the 2007 elections many of the names on the lists of the Liberal Democratic Party of Russia and ‘Just Russia’ were there not through their parties’ choice but at the insistence of the Kremlin. ‘Right Cause’, as the Kremlin’s latest project, could not be the exception. According to Prokhorov, however, he was sceptical about the names suggested by the President’s administration and had no intention of including them, and nor would he drop Roizman’s candidacy. The administration, realising that Prokhorov was disinclined to take a hint, decided to resort to more direct pressure. For this it reactivated the scenario it had used in 2005 when it took over the Democratic Party of Russia and ousted its leader, Andrey Bogdanov. Just like in 2005, delegates arriving for ‘Right Cause’s’ conference on 14 September 2011 were summoned in groups to the administration’s offices for a chat about the suitability of Roizman’s candidature. Kremlin spin doctors have used Andrey Bogdanov several times to play their obscure political games. The little known leader of the forgotten Democratic Party of Russia once destroyed former prime minister Mikhail Kasyanov's hopes and has now helped to ruin Prokhorov's political ambitions. And just like in 2005, the conference opened with the setting up of two committees, a credentials committee and a counting committee, which would secure the outcome desired by the Kremlin. These committees were headed by Andrey Bogdanov and the Ryavkin brothers. At first, Prokhorov attempted to regain control by declaring the first day of the conference unconstitutional and excluding Bogdanov and the Ryavkins from the party. However on the following morning, when he tried to hold an alternative session, it became clear that the game was up. An official from the Justice Ministry who had attended the ‘Bogdanov’ session declared that this would be the officially recognised conference. Bolstered by her announcement, the delegates expelled Prokhorov from the party, repealed the constitution adopted in June and elected new leaders. The press reported that at the height of the crisis the Kremlin offered Nikita Belykh the leadership of ‘Right Cause’, but he turned it down. In the end the job went to Andrey Dunayev, a lawyer and retired FSB officer, a member of the party since 2008 and a completely unknown figure in the country. Apart from Prokhorov, several other former members of the Union of Right Forces, including Leonid Gozman, left the party. Undoubtedly Andrey Bogdanov will now play a more important role in ‘Right Cause’. However the party itself has lost its chance to play any role in the federal elections. In the future its usefulness to the Kremlin will be mostly restricted to regional electoral campaigns. For example, Boris Nadezhdin remains a member of ‘Right Cause’ and will lead it into the elections to the Moscow regional Duma. "It is not clear what the future holds for Prokhorov’s political career. Many observers are suggesting that he will now have to spend more time looking after his economic interests." As for Prokhorov, when the air cleared he announced that he was staying in politics and would be trying to secure the dismissal of Vladislav Surkov , whom he has accused of orchestrating the ‘Right Cause’ debacle. I do not believe that Prokhorov’s accusation is entirely fair; it is obvious that Surkov takes such decisions only after consultation with his bosses Medvedev and Putin. It is not clear what the future holds for Prokhorov’s political career. Many observers are suggesting that he will now have to spend more time looking after his economic interests. What one can say, however, is that his short experience of Russian political life will have brought home to him its key principle: there is no room for independent players here. Everything is under control.